Often, people think of corporate events as the same old boring team-building activities, which have no fun or excitement for anyone that attends. While planning such an event, many people forget about all the built up fun that is just waiting to be released. Many of the staff members will be bringing their families to these events. Though it may be a successful party for the employees, accompanying members and especially the kids don’t find it to be all that great. An event is called successful only when each guest finds something enjoyable for him/her for the entire time of being there. So, why not plan something extraordinary for your next corporate party? What about a bounce house? 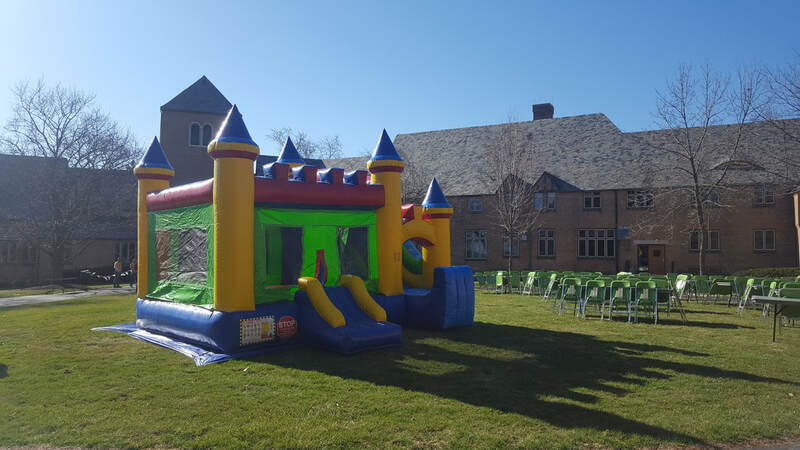 We agree that bounce houses aren't ideal all every single event such as meetings and conferences, but these inflatable bundles of joy can drastically change things up if it’s a corporate event. These events usually include trade shows, school trips, official socializing, company picnic, concerts and a live band. 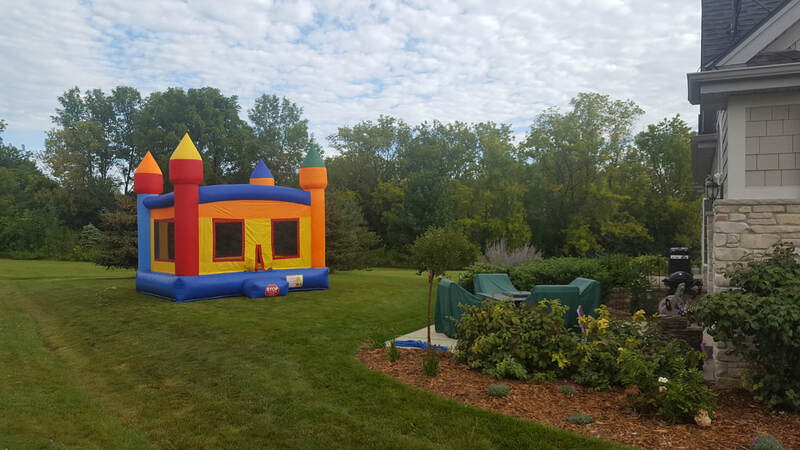 Even non-profit fundraising opportunities or for the celebration of company anniversary can easily be spiced up with a bounce house. Any outdoor corporate event is incomplete without a certain fun element to it. A bounce house, especially when kids are to be among the guests, are just what is needed to bring enjoyment to any event. Being the organizer, it’s your duty to keep everyone entertained. Children are full of life, and they love spending their liveliness jumping and running around. The best thing about inflatable fun is that these are 100% safe for kids of all ages. Inflatable units are made of a material that doesn’t hurt your little ones on jumping around. So, it allows parents to enjoy the party without worrying about what their kids are up to. You can choose among popular childish themes, like Disney princesses, Mickey Mouse, Dinosaurs, Frozen, Thomas the Train and much more. Even the most nervous wallflowers in your company will loosen up once they step foot in a giant character-themed blow-up castle. Yes, if it’s going to be fun and most of the employees are young, a bounce house rental makes a surprisingly great addition, even when the party is not going to involve any children. A colorful bounce house, with no specific character theme, is a cut out for more sophisticated touch to your corporate party. Are you sure you’re going to have kids at the party? Maybe you are a team of fun-loving professionals who enjoy being childish at times. If any of these is true, a bounce house makes a great addition. 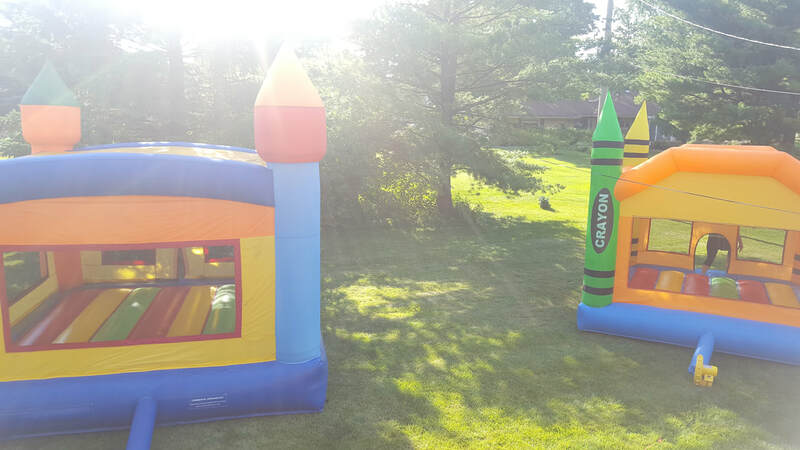 One of the most easy ways to spice up any event is to rent out one of our commercial bounce houses. These help keep those kiddos entertained for hours. You don't want to be worried about the kids noise may disturb the adult conversations occurring at these corporate events. It’s important to get it set up in an area that allows parents to see and watch over their children’s activities. Safety of your guests is of the utmost importance. Avoid renting those cheaper lightweight bounce house that weighs that can easily be carried away on a mildly windy day. Instead, call us to get the strongest, commercial grade bounce house which weighs nearly 300 pounds to assure more stability. So, next time you plan a corporate event, don’t forget to consider bounce house. Just try it once!